When we were in Utah, my dad let me pick out a couple of bowls from several that he's made recently. He took a pottery class last semester (I think that's when it was) and has also been making wooden bowls and other items. I cleared off a section of my usually cluttered shelf for this photo, but I think I'm going to have it be their permanent home and stop keeping clutter there. I think the hole in the wooden bowl makes it extra unique and just... cool. My little girl likes to take the ceramic bowl down and play with these beads. (They are from a little Thomas train set.) She called them "beans" for a couple days and I try not to correct her when she has adorable incorrect pronunciation, but she says "beads" the right way now already. I love both of these--maybe I should put in a special order with Dad before he and my mom come to visit us in a few weeks. These are from my friend Janelle, who is a talented knitter and a genius microbiologist as well. The note she sent with them said to stick them in my coat pockets and they'll be a good surprise this winter. 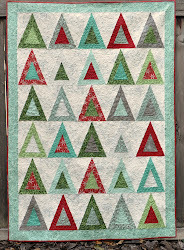 We planned to swap something handmade, sometime last year. She's done her part, and I still need to make her something. I have an idea, and I think she'll like it, as soon as I have time to get to it! This weekend we are planning on buying paint for my girl's bedroom, maybe starting the painting, and buying a mattress for her too. I think we are getting the full-size bed so it can double as a guest bedroom. Also looking forward to things cooling down a little bit--we have had temperatures in the high 90s (heat index 105-110) for the last week or so, it's getting really old! that b=wooden bowl is amazing...you are so lucky to have it. vicki--your father's bowls are just marvelous!! 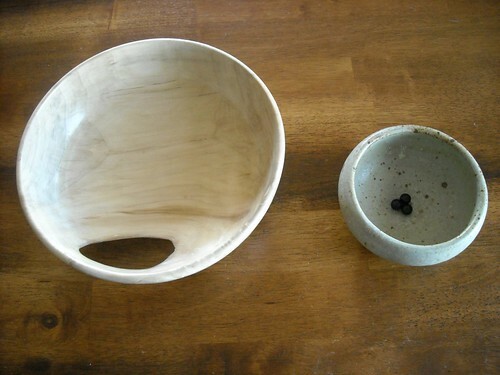 i've done both a wooden bowl (can we just say totally ugly!!) and throwing pots--soooooooooo fun. both of those were years and years ago, but i can completely appreciate the time and satisfaction involved--job well done! 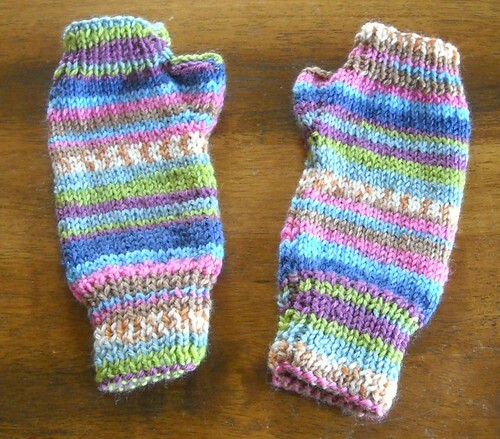 gloves are great--such fun yarn. as for the heat--can totally relate. last week went to get into the car and it was 102, couple days later it was "only" 82--felt absolutely chilly! !